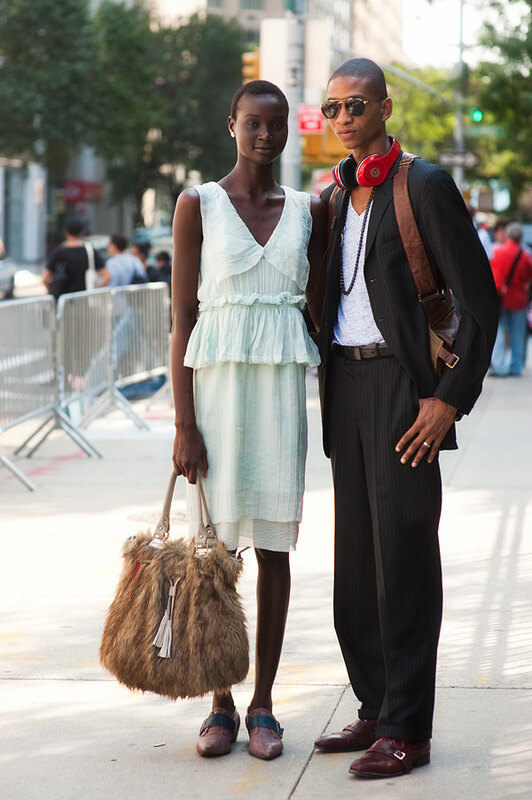 Beautiful Ataui Deng and her husband (they got married in January! ), Kortney William. Absolutely adore Ataui's palest mint dress and fluffy bag. She is just beautiful, and how stylish is her hubby?! @Lauren- and so in love!! They were in London last week (first time) and looked so happy together! she looks absolutely stunning. these are fantastic shots. do you know what kind of shoes those are? it's all lovely. This is great. Love her bag. Great post! she is breathtaking and together they both look simply beautiful! Definitely, her shoes are uniquely cool! and her outfit make her look so stunning..